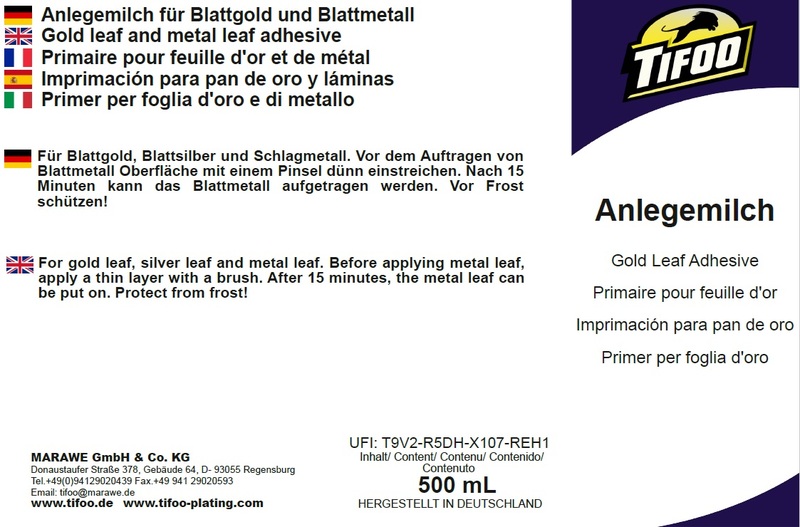 Product information "Gold leaf adhesive for gold leaf and metal leaf (500 ml)"
The TIFOO Gold leaf adhesive is the perfect primer for gilding with gold leaf. 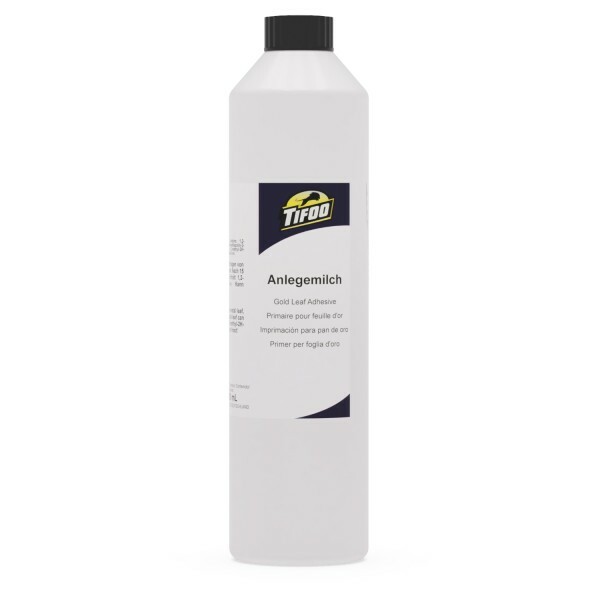 It dries on numerous materials like canvas, wood, stone and so on. After drying you have three days and more to apply the gold leaf. It is suited for any kind of metal leaf. Apply a thin layer of the gilding primer on the surface and put the metal leaf on the sticky surface after the drying time of 10 to 15 minutes. The metal leaf sticks immediately and can be smoothed out with a soft brush. Done! So you can achieve impressive gilding of frames, statues and furniture fittings within a very short time. Ideal for all objects too big for electroplating. Related links to "Gold leaf adhesive for gold leaf and metal leaf (500 ml)"
Customer evaluation for "Gold leaf adhesive for gold leaf and metal leaf (500 ml)"